A great value, our Jumbo Basketball Medallion is a big size for a great price! 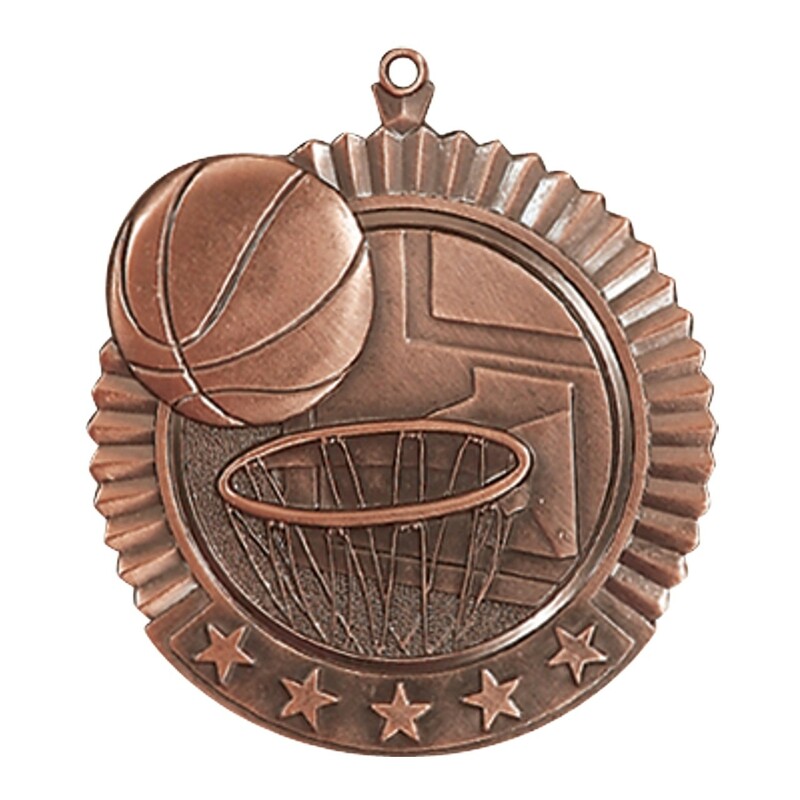 These 2 3/4" diameter are the largest basketball medals we offer. On the front they feature a relief of a basketball going through a hoop; on the back is 3 lines of your personalized engraving, included in the price! 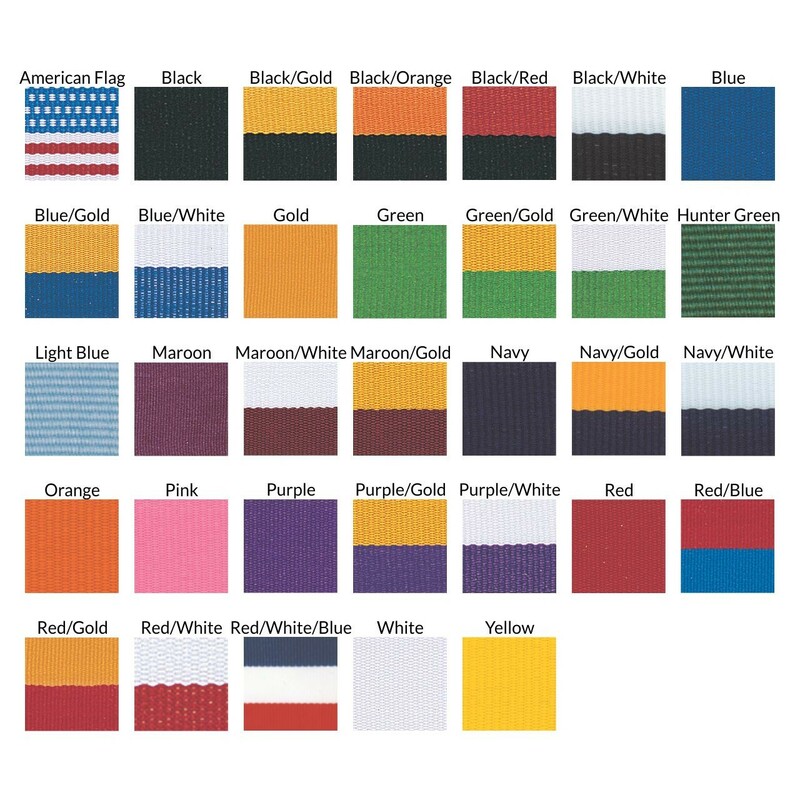 Your choice of gold, silver, or bronze medal color and neck drape color.